Earlier this week, Florida’s Republican Governor announced that he would be accepting the federal expansion of Medicaid that would provide healthcare coverage to one million new Floridians. After much political resistance, Governor Scott joined seven other Republican Governors in embracing a key provision in President Obama’s Affordable Care Act. In his announcement, Governor Scott declared that “While the Federal Government is committed to pay 100 percent of the cost, I cannot, in good conscience, deny Floridians the needed access to health care.” At this point, Georgia has not accepted the Medicaid expansion. This decision will be a costly one that denies fully funded insurance coverage to nearly 500,000 Georgians and rejects a positive economic impact of $82 billion. By rejecting the Medicaid expansion, Georgia will fail to make one of the most important investments in our population that a state can make: access to quality healthcare. 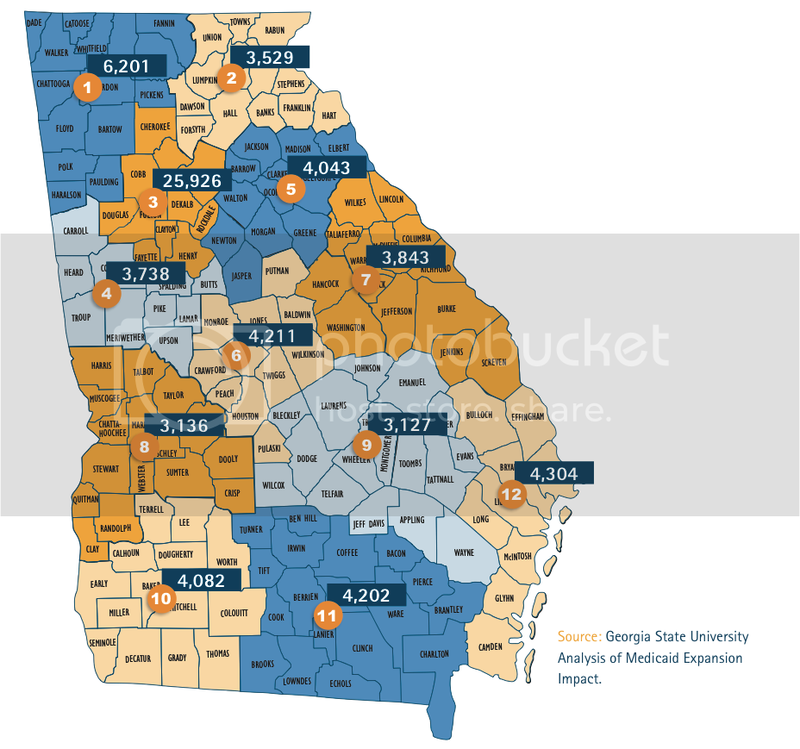 According to recent research by the Georgia Budget and Policy Institute, Georgia has the fifth largest uninsured population in the United States totaling nearly two million Georgians. This means that two million Georgians do not receive the primary healthcare they need and must rely on costly emergency room visits for their care. The Medicaid expansion would relieve 500,000 of the neediest Georgians from this inefficient approach to healthcare. A recent study by the National Bureau of Economic Research shows that Medicaid makes a significant impact on the population it serves. The study, led by former George W. Bush economic advisor Katherine Bicker and former Obama economic advisor Jonathan Gruber, shows that those with Medicaid had better access to and used more health care than those who had no insurance at all. Medicaid patients were also less likely to experience unpaid medical bills, more likely to report being in good health and less likely to report feeling depressed. The study further reports that the chance of outpatient care increased by 35 percent, the chance of an office visit for primary care increased by 70 percent and the chance of having a regular doctor increased by 55 percent. All of this adds up to a higher quality of health that is cheaper in the long run for Medicaid patients. By rejecting the Medicaid expansion, Georgia forfeits these health benefits for half-a-million Georgians. Quality healthcare is not the only benefit Georgia sacrifices by rejecting the Medicaid expansion. Georgia also rejects a $40 billion federal investment that would have a return of $82 billion to our economy and support the creation of 70,343 jobs across our state. 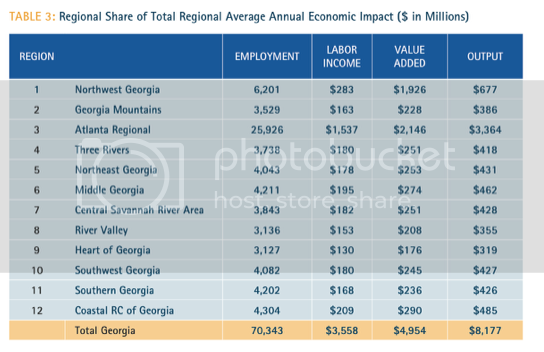 The Healthcare Georgia foundation recently outlined the economic impact of the Medicaid expansion in Georgia. Their research shows that expanding Medicaid would be an important investment in our rural hospitals that treat a high proportion of Medicaid patients. Their research also finds that the Medicaid expansion would increase tax revenue for state and local governments by $276.5 million per year. This increased tax revenue could serve as a source of investment in our schools and transportation system that have both experienced budget cuts over the last three years. Rejecting the Medicaid expansion denies jobs and economic growth to a Georgia economy still recovering from the largest recession since the Great Depression. Finally, Georgia turns down a great deal by rejecting the Medicaid expansion and allowing the federal tax dollars of Georgians to be spent on Medicaid expansion in other states. Currently, the federal government pays approximately 66 percent of the cost of Medicaid in the state of Georgia while the state government covers the remaining 34 percent. In the case of the Medicaid expansion, the federal government is covering 100 percent of the expansion until 2017. From 2017 to 2020, the federal government declines their share to 90 percent of the expansion and pays 90 percent each year beyond 2020. This represents a much better deal for the state of Georgia than nearly any other federal program Georgians take advantage of. If Georgia does not accept the Medicaid expansion then other states will receive the health and economic benefits partially paid for by the federal taxes of Georgians. Georgia has the opportunity to join the seven other Republican-led states who have accepted the Medicaid expansion. By doing so, we would embrace an investment that would provide healthcare to 500,000 Georgians and provide economic benefits that create jobs and expand economic growth. Rejection of this expansion would result in a huge missed opportunity for Georgia that Governor Scott called “common sense”. For more information on the Medicaid expansion, check out some great work from the Georgia Budget and Policy Institute and from the Healthcare Georgia Foundation. As always it is an honor to represent you in the General Assembly. As long as Spencer is your Representative, he and his staff will fight for investments like these in our community and our state. Thank you and have a great week!